This is my monthly summary of my free software related activities. If you’re among the people who made a donation to support my work (548.59 €, thanks everybody! ), then you can learn how I spent your money. Otherwise it’s just an interesting status update on my various projects. Now that tracker.debian.org is live, people reported bugs (on the new tracker.debian.org pseudo-package that I requested) faster than I could fix them. Still I spent many, many hours on this project, reviewing submitted patches (thanks to Christophe Siraut, Joseph Herlant, Dimitri John Ledkov, Vincent Bernat, James McCoy, Andrew Starr-Bochicchio who all submitted some patches! ), fixing bugs, making sure the code works with Django 1.7, and started the same with Python 3. I added a tox.ini so that I can easily run the test suite in all 4 supported environments (created by tox as virtualenv with the combinations of Django 1.6/1.7 and Python 2.7/3.4). Over the month, the git repository has seen 73 commits, we fixed 16 bugs and other issues that were only reported over IRC in #debian-qa. With the help of Enrico Zini and Martin Zobel, we enabled the possibility to login via sso.debian.org (Debian’s official SSO) so that Debian developers don’t even have to explicitly create their account. As usual more help is needed and I’ll gladly answer your questions and review your patches. Publican. I pushed a new upstream release of publican and dropped a useless build-dependency that was plagued by a difficult to fix RC bug (#749357 for the curious, I tried to investigate but it needs major work for make 4.x compatibility). GNOME 3.12. 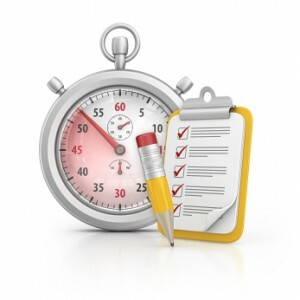 With gnome-shell 3.12 hitting unstable, I had to update gnome-shell-timer (and filed an upstream ticket at the same time), a GNOME Shell extension to start some run-down counters. Django 1.7. I packaged python-django 1.7 release candidate 1 in experimental (found a small bug, submitted a ticket with a patch that got quickly merged) and filed 85 bugs against all the reverse dependencies to ask their maintainers to test their package with Django 1.7 (that we want to upload before the freeze obviously). We identified a pain point in upgrade for packages using South and tried to discuss it with upstream, but after closer investigation, none of the packages are really affected. But the problem can hit administrators of non-packaged Django applications. Misc stuff. I filed a few bugs (#754282 against git-import-orig –uscan, #756319 against wnpp to see if someone would be willing to package loomio), reviewed an updated package for django-ratelimit in #755611, made a non-maintainer upload of mairix (without prior notice) to update the package to a new upstream release and bring it to modern packaging norms (Mako failed to make an upload in 4 years so I just went ahead and did what I would have done if it were mine). Kali wants to switch from being based on stable to being based on testing so I did try to setup britney to manage a new kali-rolling repository and encountered some problems that I reported to debian-release. Niels Thykier has been very helpful and even managed to improve britney thanks to the very specific problem that the kali setup triggered. Since we use reprepro, I did write some Python wrapper to transform the HeidiResult file in a set of reprepro commands but at the same time I filed #756399 to request proper support of heidi files in reprepro. While analyzing britney’s excuses file, I also noticed that the Kali mirrors contains many source packages that are useless because they only concern architectures that we don’t host (and I filed #756523 against reprepro). While trying to build a live image of kali-rolling, I noticed that libdb5.1 and db5.1-util were still marked as priority standard when in fact Debian already switched to db5.3 and thus should only be optional (I filed #756623 against ftp.debian.org). 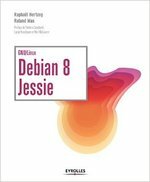 When doing some upgrade tests from kali (wheezy based) to kali-rolling (jessie based) I noticed some problems that were also affecting Debian Jessie. I filed #756629 against libfile-fcntllock-perl (with a patch), and also #756618 against texlive-base (missing Replaces header). I also pinged Colin Watson on #734946 because I got a spurious base-passwd prompt during upgrade (that was triggered because schroot copied my unstable’s /etc/passwd file in the kali chroot and the package noticed a difference on the shell of all system users).